Ben Ainslie on the upcoming challenge of the America’s Cup. The world’s most successful Olympic sailor is chasing a new dream: to bring the America’s Cup home. Not that Britain has ever won sailing’s most prestigious title, which is also one of the world’s oldest international sporting trophies. The first America’s Cup race in 1851 was around the Isle of Wight and won by the US – a victory which named the event – and since then they’ve repeatedly triumphed with only very occasional interruptions by Australia, New Zealand and Switzerland. 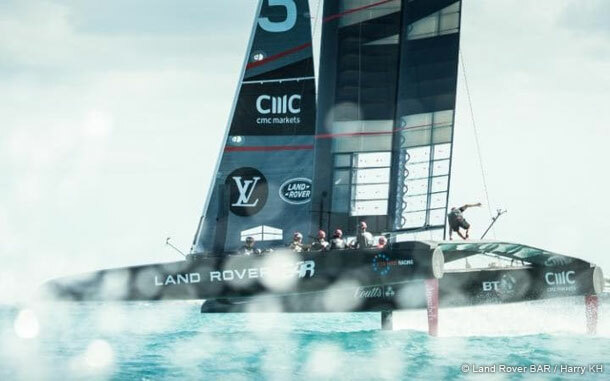 Britain is yet to hold up the Auld Mug but Land Rover BAR (Ben Ainslie Racing) might represent its strongest-ever hope. What is certain is that one of the finalists will be Oracle Team USA, the defenders. In fact, the odds can seem stacked in favour of the last victors. As well as a guaranteed place in the final head-to-head, they get to set some of the rules of engagement and choose the venue, which is Bermuda this time. Although the trophy has a prestigious history, it has not been a regular fixture, in part because of the costs of putting together a team. “As a professional sportsman, that is frustrating,” says Ainslie, who’s raised tens of millions in sponsorship to build a boat and bankroll his team, “and I’ve wanted to take matters into my own hands.” He hopes Bermuda could be the turning point – with a renewed energy for the sport, and strong public support. The spectator experience has also undergone a shift: “It’s worlds apart from where the sport was 10 years ago,” Ainslie says. “You used to see a little speck in the ocean and boats sailing around for four-to-five hours, 10 miles out at sea. Nowadays races are short – 20-25 minutes – and here in Bermuda our base is next to the racecourse and the finish line is a couple of hundred metres away. That makes for an incredible, high-impact experience.” Spectators can also watch the action on big screens in Bermuda’s Dockyard (or in numerous other locations outlined in our guide on where to watch the America's Cup in Bermuda). “We’ve got military-grade GPS and line technology that monitors location to within three seconds so you know exactly where the boats are on the course. Combine that with the upgrades in graphics and television production – plus audio, which is a big part of the show. It’s become a bit of a mini soap opera because you can hear the conversations between the sailors. Viewers can feel the same stresses that the sailors are under.” When I ask if he censors himself on air, there’s a smile. “Let’s say I’m aware people are listening in,” he mumbles. “Besides, if you come across flustered or give the impression the team isn’t getting on well, that would show weakness.” No chance of that, I suspect.